How ancient are the ancient egyptians? Were woolly mammoths around when the pyramids were built? If the whole of time was compressed into a day, how many minutes would dinosaurs have been alive? Does a photon perceive time? To us, the Romans and the ancient Egyptians are all quite old. However, Cleopatra, who lived at the time of Julius Caesar, is closer to us (and the moon landings!) in time than she was to when Egyptians started building pyramids. To the Romans, ancient Egypt was as ancient as the Romans are to us today. 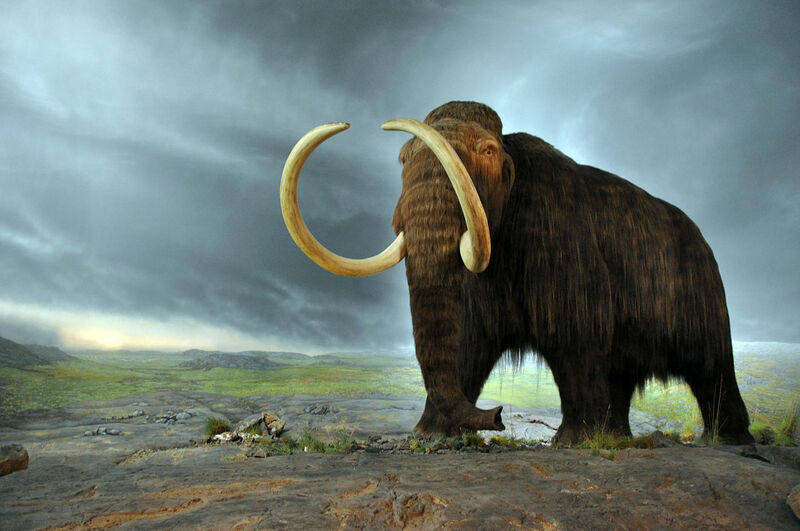 We think of woolly mammoths as being extinct for a very long time. However, they survived, on Wrangel Island, up to 2500 BC. Which means that mammoths were still around when Egyptians were building the pyramids! Dinosaurs lived for a very long time. In fact, the time difference between when a Tyrannosaurus lived and a Stegosaurus lived, is greater than the time difference between humans and the T-Rex. Humans have only been around as a species for 150-200 thousand years. Written history has been around only for a few thousand. Let’s have a look how little time we have been around in comparison to the rest of the universe. If you were to compress the whole of time, starting from the big bang (13.82 billion years ago) up to today, in a single day, the big bang would happen at the strike of midnight (obviously), the earth would only be formed at 6 minutes past 4 in the afternoon, life (as bacteria) would start to exist at around 25 past 5, dinosaurs would show up at half past eleven, and be extinct less than 20 minutes later , and the whole of human history could fit in the last second of the day. Does a photon perceive time? A photon travels at the speed of light. Which means that it does not feel the passage of time. To any photon, one that has been emitted by the lightbulb in your room and absorbed by the floor, one that has been emitted by a lighthouse and traveled several miles, or one that has traveled the whole length of the universe, the instant in which it is emitted is the same instant in which it is absorbed. Obviously, to us observers, it has travelled for a very long time and a very long way, but the photon itself will not have ‘felt’ it, its journey is instantaneous. What’s your favourite fact about time? Let us know in the comments! I remember the calendar representation made by Carl Segan explaining the last second of the calendar year representing our history. Cool stuff. Do you happen to have a link to that? What does it even mean to say that a photon “feels” the passage of time?